Are you ready for the best boho-chic maxi dress ever! Get the look now! 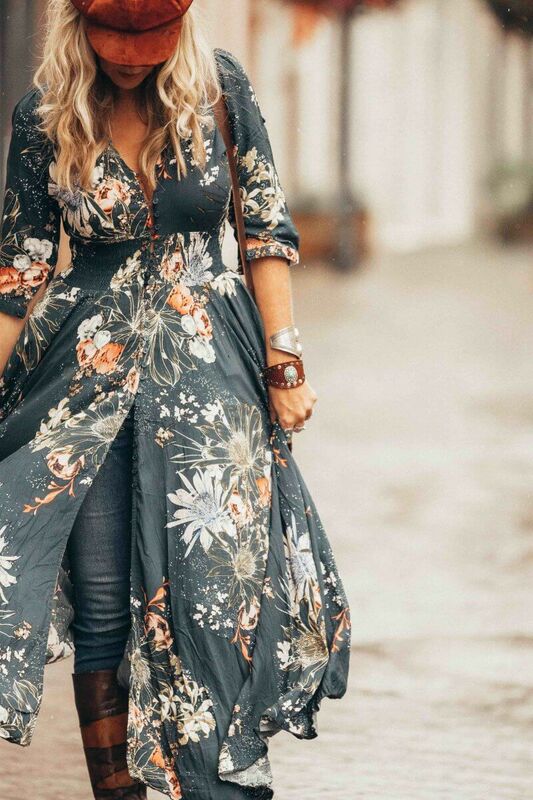 I love a good boho-chic maxi dress, especially the one I can also wear in Autumn. Just throw it over a pair of skinny jeans and add some vintage boots. If you like to be more fancy you can also wear it with your high heels and a little leather jacket. You just can create every look you want depending on the mood you're in. For this shoot I unbuttoned the dress to show off the jeans a bit. I always feel very confident wearing a fab maxi dress; no matter what the weather. 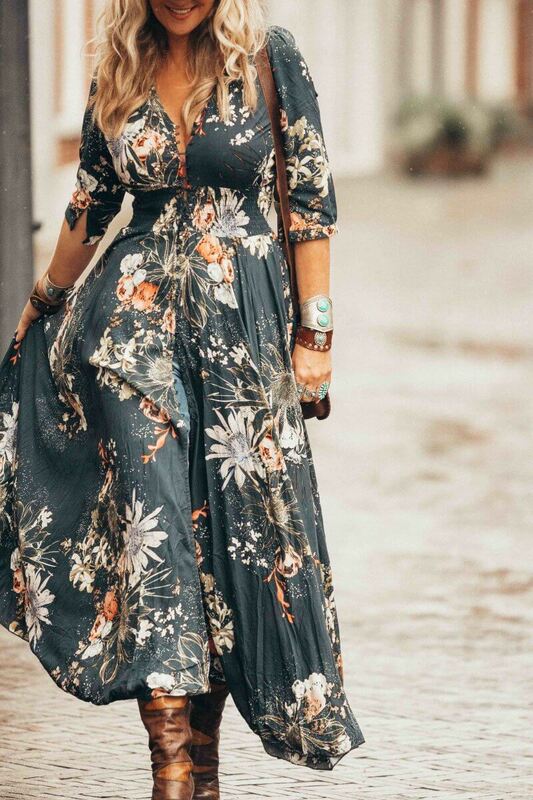 Here are some more maxi dresses I love and other similar pieces to get this look! Yay! Where can I buy this? I love your style! Rewading through your posts now! Please check out The Boho Basement http://www.thebohobasement.com they have amazing dresses just like these. I have ordered three and they are on there way. Thanks for sharing, your articles are amazing! Spell Bride: the most gorgeous boho wedding dresses!